In the summer of 1978 a series of public meetings in Blairgowrie culminated in the formation of the Blairgowrie and District Hillwalking Club. 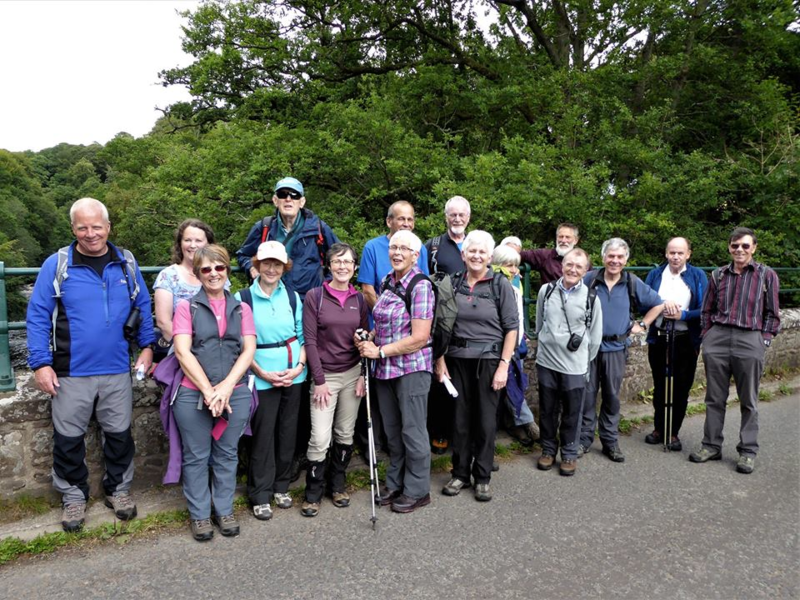 The meetings, organised by Kenneth Stewart (the Community Education Officer for Blairgowrie), were held on 17th June and 20th July to discuss the formation of the "Blairgowrie and District Hillwalking and Rambling Club". "This is your chance to make new friends, keep fit and explore the Scottish Hills" the notices in the Blairgowrie Advertiser announced to attract potential Club members to the meetings. The message succeeded and about 50 people attended the meetings to show their interest in and enthusiasm for the formation of a hillwalking club. Those attending included "experienced walkers as well as complete beginners, some young… some not so young". (This still describes the membership at the present time). Committee members: Douglas Rennie, Elizabeth Page, Tom Morrison and Robin Shepherd. At a meeting on 19th October 1978 Iain Mitchell was elected as a 9th committee member. Before this meeting two trial walks had been undertaken so that the beginners could get an idea of their capabilities. In the event they learned that "they can walk 10 miles quite easily." Furthermore "all are looking forward to graduating to slightly higher ground". The name Blairgowrie and District Hillwalking Club was chosen at this meeting and has remained the name of the club ever since. Extract from the minute book showing the "election" of the club name. The initial membership was 50, 48 of whom joined at the first meeting. The subscriptions were set at £1 for full membership and 50p for juniors. By the end of the year the total membership was 60 full members and 15 juniors. The first club walk was on Sunday 17th September 1978 to Glen Doll. Forty seven walkers enjoyed "fine weather" and seem to have covered two walks - one being the Munros Mayarand Dreish, the other, less strenuous, to Loch Brandy. The Blairgowrie Advertiser report also mentions "Although some teething problems were encountered the majority of the participants agreed that the meeting had been enjoyable." It was also at this point that walks were planned for every third Sunday (which continues at present. Over the years the membership has fluctuated from a low of 36 in 1982/83to a high of 74 in 1995/96. To celebrate the club’s 25th anniversary in 2003, we held a very successful trip to Ireland. In 2008, our 30th anniversary, we had a special trip to Snowdonia and, most recently in 2013, to celebrate our 35th anniversary 29 members enjoyed a trip to Harris.